The words “grip and traction” never sounded so good together. 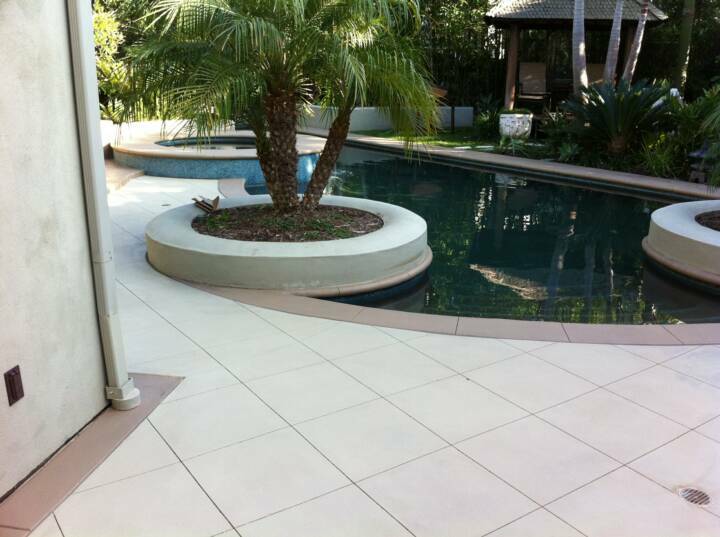 NewLook’s Gription slip-resistant additive is a micronized polymer that’s stirred into NewLook sealers and coatings for slip resistance, fine texturing and gloss reduction. 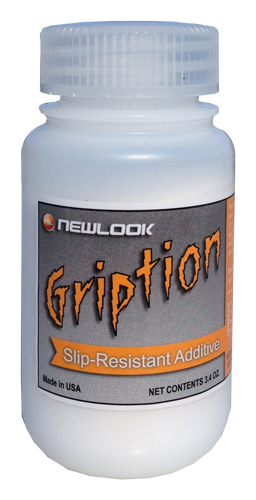 Use Gription to increase traction on damp or sloped (concrete) surfaces subject to slipperiness. It easily mixes into SmartSeal, paints, and other decorative coatings because of its low absorption and high resistance to solvents. Its low density allows a more consistent suspension in thin materials, such as stains and sealers. And…if you’re kind to it, NewLook Gription just might even share the secrets of the universe with you. Available in either a 3.4 oz and 1 lb unit. Mix 3.4 oz Gription into 1-gallon containers SmartSeal. Mix 1 lb Gription into 5-gallon containers of SmartSeal.